Lochard inc., provides the quality, expertise and excellent customer service you seek for all your plumbing system installation and repair needs in your Sidney area home. We repair and replace water heaters, toilets, faucets, disposals, sinks, clear clogged drains and repair all types of leaks and breaks. We are a third generation, family run business with one of the largest service fleets in the Sidney Ohio area. We provide scheduled and emergency plumbing service and around the clock service 7 days a week to all parts of Shelby and Miami Counties. When you have an emergency drain stoppage, give Lochard a call. Our professional plumbers will use drain cleaning machines or "snakes" to clear all forms of stoppages. We also have camera inspection equipment and a transmitter/receiver locator as well, for finding broken underground or hidden pipes. A sump pump is a device that pumps water out of a pit placed below the water grade in your Sidney home. This pit is located usually at the end point of the french drains installed in or around your home's basement. When it rains or snow starts to melt, water fills the pit and the sump pump turns on and pumps the water out of the pit into a drain pipe connected to your sewer line or simply piped outside away from your home. Because a sump pump is often submerged in water, it should be checked and tested once a year to ensure it still operates. If the sump pump fails it could lead to flooding your basement and to costly damages. At Lochard Plumbing, Heating and Cooling we offer sump pump inspection services to make sure your sump pump is in good shape. We also offer sump pump backup pumps as well as battery back up and water powered sump pumps for when the power fails. Call us today for more information. 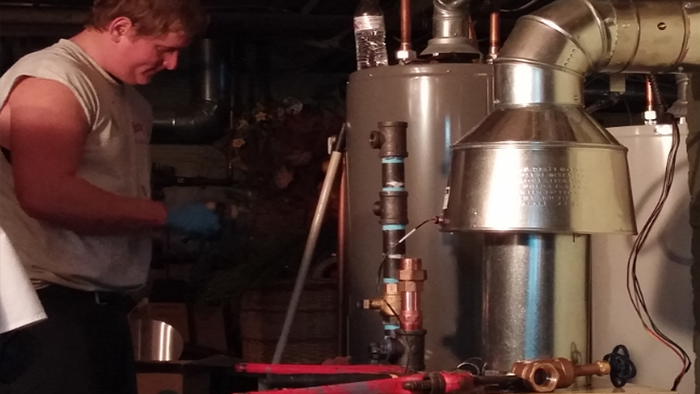 Water heater Installation and Repair. 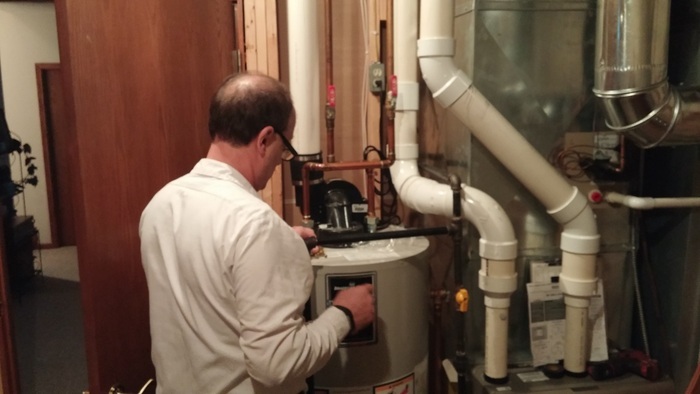 If you are looking for an professional plumber in the Sidney, Ohio area to repair or replace your water heater, look no further than Lochard. At Lochard we install both tankless and regular tank water heaters-both electric and gas models. Over the years many new improvements have made water heaters more efficient, and thus less expensive to operate. In addition there are options like tankless water heaters and continuously-recirculating water systems that can further reduce your energy costs and water bills.